When you walk into a workplace with a beautifully designed interior, the stunning plants are one of the first items to catch your eye, instantly making the area warm and inviting. Did you know those beautiful plants are adding a lot more to the company than just good looks? Ornamental plants help provide clean air by removing several key pollutants associated with indoor air pollution. 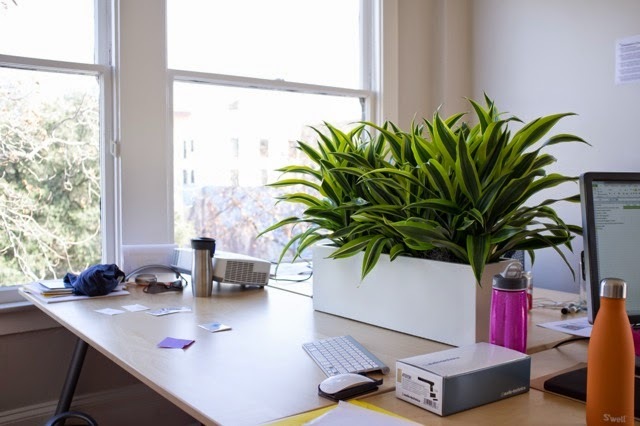 Plants reduce noise levels and add a calming influence to their surroundings. This creates a positive work environment for employees, increasing concentration ability for the task at hand. When working in natural setting environments, people experience increased vigor. Their performance levels are increased by this enriched state of mind. They put more of themselves and their energy into their work, are likely to do it at a higher quality, and complete it with a much higher accuracy rate. It has been shown that having ornamental plants within your sight can increase memory retention up to twenty percent! The addition of flowers in the office setting add aesthetic beauty and is soothing. This lowers stress and anxiety levels. As a result the workplace atmosphere is more relaxed. To sum it up interior plants make employees happy and when employees are happy, the companies they work for thrive! Burchett, Prof. Margaret, Dr. Jane Tarran, and Dr. Fraser Torpy. "POTTED PLANTS REALLY DO CLEAN INDOOR AIR ." . Plants and Indoor Environmental Quality Group Faculty of Science, UTS , n.d. Web. 1 June 2007. <http://greenplantsforgreenbuildings.org/wp-content/uploads/2014/01/PottedPlantsCleanIndoorAir.pdf>. Hall, Charles R. , and Madeline W. Dickson. "96 J. Environ. Hort. 29(2):96–103. June 2011 Economic, Environmental, and Health/Well-Being Bene fi ts Associated with Green Industry Products and Services: A Review 1." . N.p., n.d. Web. 1 June 2011. <http://aggie-horticulture.tamu.edu/faculty/hall/publications/JEH%2029%282%29%2096-103.pdf>.
" Health and well-being benefits of plants." Ellison Chair in International Floriculture. Ellison Chair in International Floriculture, n.d. Web. . <http://ellisonchair.tamu.edu/health-and-well-being-benefits-of-plants/#.U9GPBWPb73B>. Perry, Dr. Leonard . 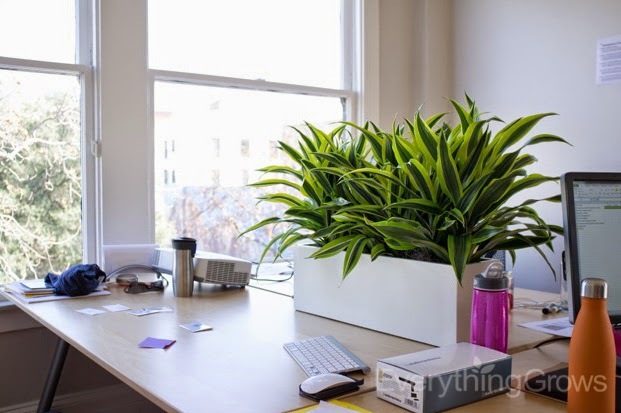 "Plants at Work, Indoors." Plants at Work, Indoors. Extension Professor - University of Vermont , n.d. Web. . <http://www.uvm.edu/pss/ppp/articles/plantswork.html>. Wolverton, B. C.; Douglas, Willard L.; Bounds, Keith. "NASA Technical Reports Server (NTRS)." - Basic Search. Document ID: 19930072988 - A Study of Interior Landscape Plants for Indoor Air Pollution Abatement. Document ID: 19930073077 - Interior Landscape Plants for Indoor Air Pollution Abatement., n.d. Web. 1 Jan. 1989. <http://ntrs.nasa.gov>.